Also serving communities of Haslett, Perry. There are 9 Memory Care Facilities in the Okemos area, with 2 in Okemos and 7 nearby. The average cost of memory care in Okemos is $2,849 per month. This is lower than the national median of $4,650. To help you with your search, browse the 6 reviews below for memory care facilities in Okemos. Better rated regions include East Lansing with an average rating of 4.5 out of 5 stars. Caring.com has helped thousands of families find high-quality senior care. To speak with one of our Family Advisors about memory care options and costs in Okemos, call (855) 863-8283. An estimated 180,000 seniors in Michigan suffer from dementia disorders such as Alzheimer's Disease. In Okemos, where nearly 15 percent of the population is 65 years of age or older, there is a strong need for specialized, high-level memory care facilities that provide support to seniors with various types of dementia. 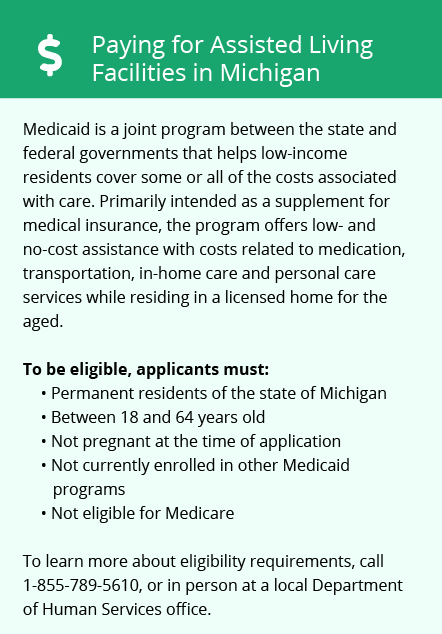 These facilities, officially known throughout Michigan as homes for the aged, are closely regulated by the government and are expected to follow rules that are very similar to those for assisted living facilities. As such, many homes for the aged in Michigan offer both levels of care. Seniors requiring memory care can choose from two homes for the aged that are located in Okemos. An additional seven are also located in surrounding areas such as Lansing, East Lansing and Haslett. When touring facilities, seniors and their loved ones should inquire about security measures that may be in place to keep residents from wandering outdoors during cold winter weather. Okemos has average temperatures that drop as low as 15 degrees in January and an average snowfall of 43 inches per year, nearly 20 inches more than the national average. Although the overall cost of living in Okemos is more than eight percent above the national average, this can mostly be attributed to the cost of housing. Seniors in the area may still find they are able to save money living in Okemos, particularly on expenses such as healthcare, which is 18 percent below the national average. Okemos is safer than 30 percent of U.S. cities and has a violent crime rate that's less than half the state average. Seniors and their loved ones can feel safe knowing that residents of Okemos have only one in 562 chances of becoming the victim of a violent crime. The Okemos area has few medical facilities to choose from in the event of medical emergencies or illness, with the nearest hospital located in Lansing. Memory Care costs in Okemos start around $2,849 per month on average, while the nationwide average cost of memory care is $4,800 per month. It’s important to note that memory care rates in Okemos and the surrounding suburbs can vary widely based on factors such as location, the level of care needed, apartment size and the types of amenities offered at each community. To see a list of free memory care resources in Okemos, please visit our Assisted Living in Michigan page. 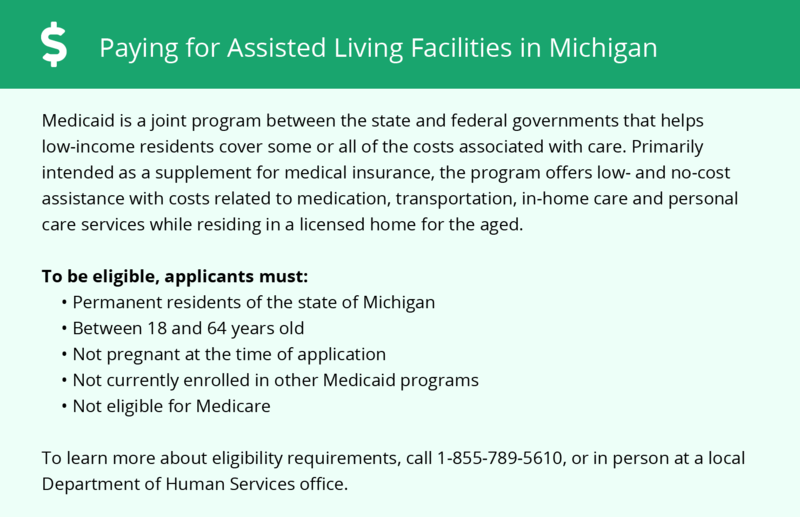 Okemos-area assisted living communities must adhere to the comprehensive set of state laws and regulations that all assisted living communities in Michigan are required to follow. Visit our Memory Care in Michigan page for more information about these laws.